As with most one-year-olds, we parents tend to live (or sleep) at their mercy, especially when it comes to their nighttime sleeping patterns. Try as we may to create the cosiest, most relaxing environment possible that would be conducive to quality sleep- If baby wants to wake up for a party at 3am, you can bet your bottom dollar you're in for some quality sleep deprivation too! I'm happy to say this week our youngest, Joshy, has (metaphorically speaking) hit the ball out of the park. He has been sleeping through the night till 8am and, consequently, is my favourite child. However, something we have noticed about our more 'lively' nights is that they are often a result of him kicking off his blankets in his sleep, getting chilly and then waking up everyone as a result. And whilst keeping him cosy doesn't necessarily guarantee unbroken sleep, it certainly helps, so we have been doing everything we can to encourage our little man to sleep through. Since having the boys I have LOVED using grow-bags at night time. Knowing the babes are zipped in safely and that they can't kick the bag off, or move around in it not only brings peace of mind but keeps them snug all night too! 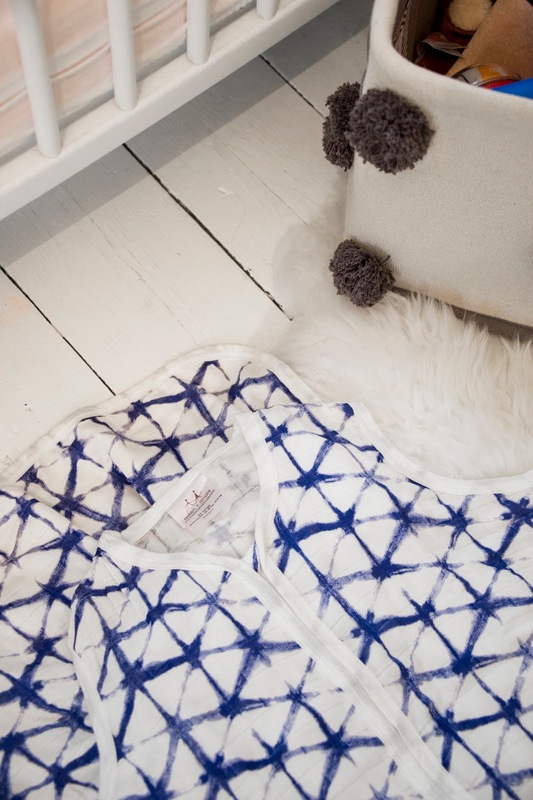 Since Joshua grew out of his smaller grow-bags, we've been using this one by aden + anais and, aside from its gorgeous pattern and easy to use design, it's also keeping our little one's tootsies very cosy at night! 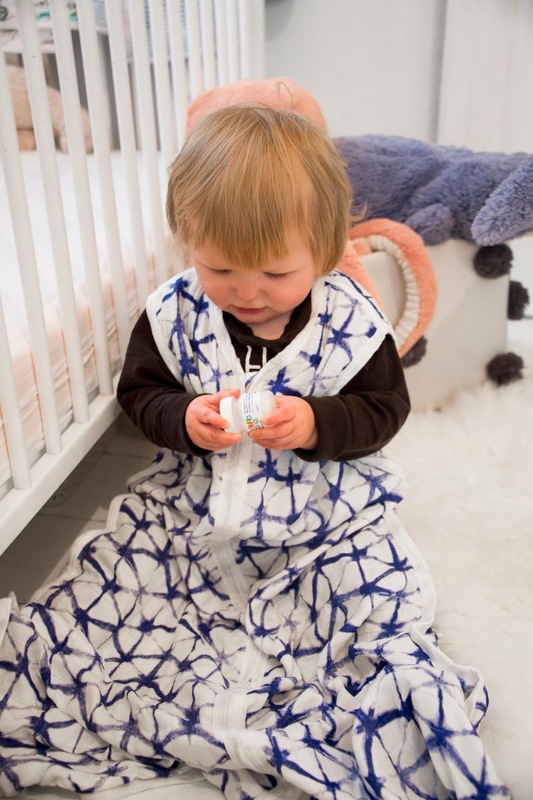 I also really love the way the fabric is made up of layers of muslin which are gentle on baby skin and offer lots of movement so baby doesn't have any sensation of restriction when rolling around while asleep. 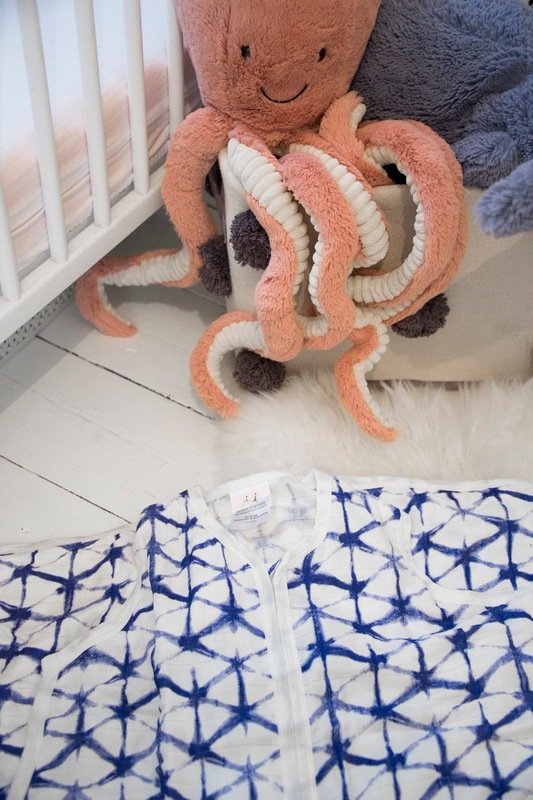 Hats off to you aden + anais, you're producing some of the highest quality baby products we know of and, three boys later, we love them as much as we did the first time we ever used them with Noah! 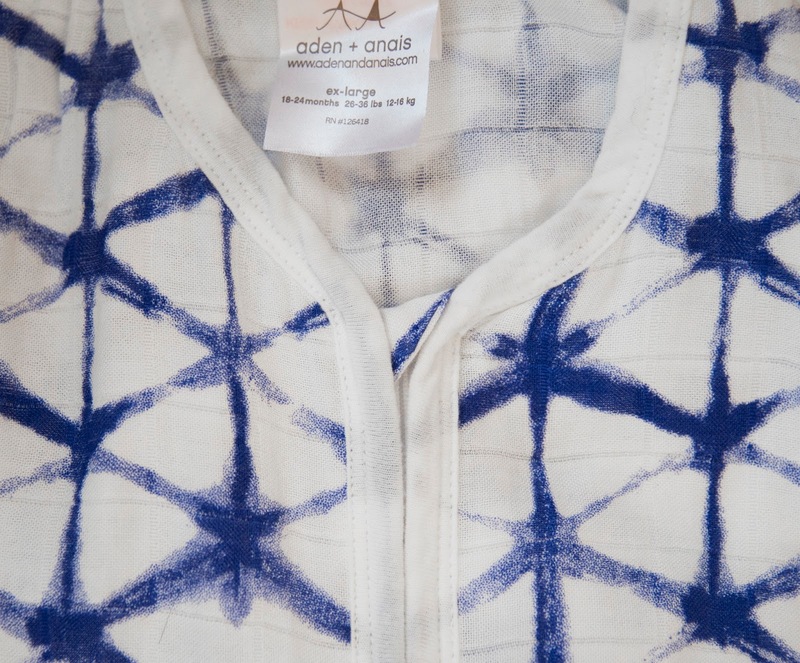 *Post in collaboration with aden + anais.